One of the common causes of car engine rod knock is low oil level. 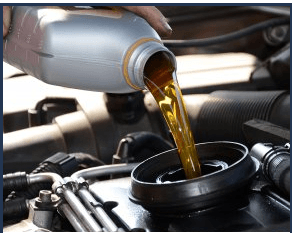 The oil is needed to lubricate the cooling and moving parts of the car. If there is not enough lubrication in your engine, excessive heat can damage some parts. This issue can result in a rod knock. If your car experienced a rod knock, you would be forced to replace the lower half of the motor or worst the entire engine. This damage can affect the rods, pistons, and crankshaft. Replacing these parts is not cheap at all, and you need to keep your car in the garage most of the time. Get yourself familiar with some of the indications of rod knock and how to fix it to prevent other parts from damaging. The rod is a part of the engine which connects the piston to the crankshaft. A bearing that connects the rod to the crankshaft separates the rod from the crank journal. The bearing made from a softer material than the crankshaft or the rod. Rod knock occurs when the rod bearing wears out. The bearing dries up when your car hydrodynamic oil wedge is not enough in between the rod pin at the bearing surface and the crankshaft. Since the material used in the bearings is lead-free aluminum alloy, the factors mentioned above can easily damage or overheat the bearings. The bearing breaks and melts away if subjected to too much heat. The melting away of the material can result in a significant gap between the bearing surface and the crank pin. It will cause the crank pin to knock the big end of the rod. A rod knock is a severe problem with your engine. It means that your car engine is no longer working correctly. If you are driving and you encounter this problem, you will be forced to walk home. You need to determine what causes the problem so you can deal with it accordingly. The big gap between the bearing surface and the crack pin can lead to broken connecting rod and hole at the sides of the engine block. It might also result to dropping in the oil pressure and other effects. Rod knock is a sign that your car has problems on its internal parts. Fixing rod knock is not easy, but it depends on what causes the problem. Some may require more work. Before calling an expert, there are some steps where you can engage in solving the knocking and put in a position to stabilize the engine rod before you decide to replace the engine entirely. Do not forget your safety gears. Position the car on the mechanic’s ramps. The mechanic ramp will help you to lift the vehicle from the ground level so that you can access the engine with ease. 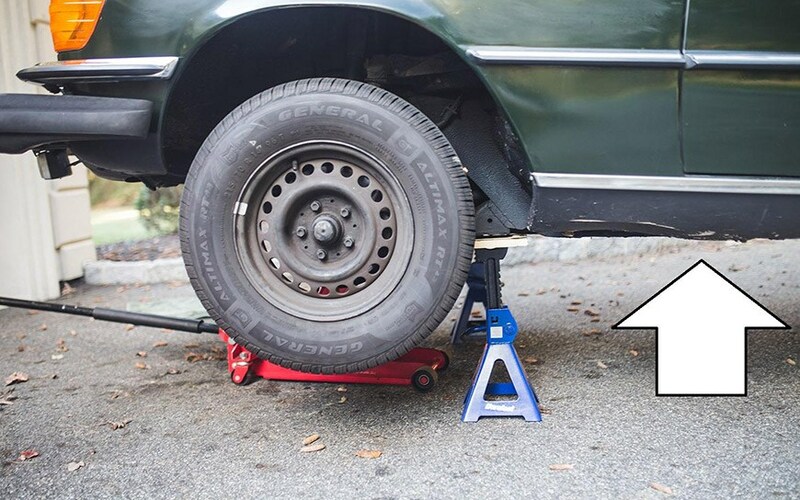 In case the mechanic slope is not available, you can use a jack to lift the car and support it with jack stands. Place the oil pan underneath the oil cap. The oil pan will collect the oil that might spill out from the engine parts. 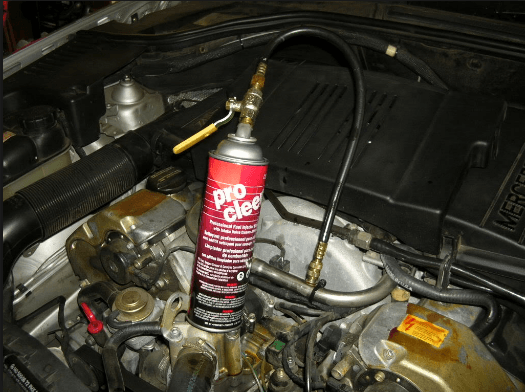 Remove the oil cap and drain the oil from car engine thoroughly. After completing the process replace the oil cap. 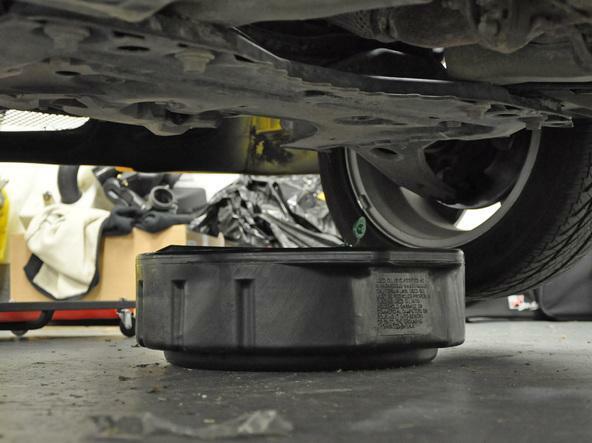 Remove the oil filter by placing the oil-filter wrench in the center and turn it clockwise. The wrench will help you in removing the oil filter and replacing the new screen. Place the new sifter in the slot as it might not be working correctly then use the oil-filter wrench and rotate to tighten it. 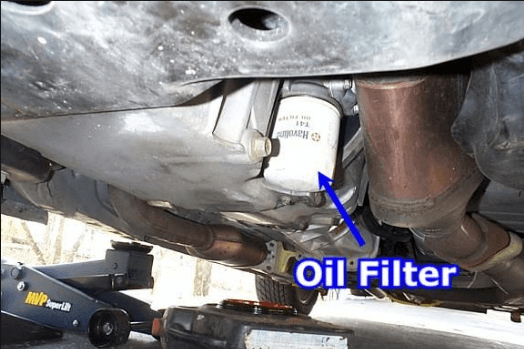 Get five quarts of fresh oil and replace the drained oil. Remove the oil pan and check the rod bearings. If you notice that the bearings are loose, you will still hear a knock coming from the car engine. Replace the bearings or tighten it if needed. Open the gas tank and pour the fuel-injection cleaner to prevent the grime from blocking its path in the engine. The fuel-injection cleanser will get rid of the dirt and make sure only clean fuel will pass through the engine. Cleaning the fuel-injection system can prevent the knocking. For a vehicle with a carburetor, you do not have to use the fuel-injection cleaner. Purchase a carburetor cleaner and spray it directly on the carburetor. Start the engine and observe the motor. If you still hear a knocking sound, you can also try another method. Flushing your engine with a detergent can help clean the engine and keep it running correctly. You can use a Seafoam in flushing. The flush reacts with the carbon deposits to eliminate them from your intake system like the combustion chamber. If you notice a lot of smoke when you start the engine for the first time after the flush, do not get alarmed it is normal. Start your engine and observe, it should be working now smoothly. If you follow the above steps on how to fix rod knock, there is no need for you to bring your vehicle to the auto repair shop. Familiarizing yourself with the different causes of the rod knock can help you in dealing with the problem and prevent it from occurring in the future. Hope you find this guide interesting and helpful. If you find this post informative, you can share this post with others or comment below.